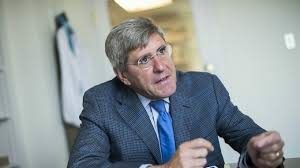 WHY IS EVERYONE AGAINST STEVE MOORE JOINING THE FED BOARD? When liberals and conservatives unite to oppose you, that’s a sign you may be doing something right. Such is the case today with economist Steve Moore. President Trump is moving toward nominating Moore for a vacant seat on the board of governors of the Federal Reserve. Judging from the outcry, one would think Trump had nominated Genghis Khan. Conservatives oppose Moore because his tax cut policies and reliance on the Laffer curve have led to larger deficits that may now be out of control. Liberals oppose Moore because of his attacks on the easy money policies of Ben Bernanke and Janet Yellen. Both groups oppose him because he is not a “professional economist” (Moore has a master’s degree but not a Ph.D.) and is therefore not “in the club” of those considered suitable for service on the board of governors. Most of these criticisms are captured in this article by mainstream left-wing economist Brad DeLong. Almost all of these criticisms are misplaced. There is no requirement that Fed board members be Ph.D. economists. In fact, Fed Chair Jay Powell is a lawyer with no formal training in economics. Moore’s criticism of Bernanke and Yellen was correct; there is no evidence that their QE2 and QE3 policies did any good for the economy. They should have raised rates in 2010 when the economy was best able to bear it and normalize without the asset bubbles we see today. However, the real reason the left and right are rabidly opposed to Moore is that he has favored a return to a gold standard in some of his earlier writings. Moore may or may not make it to the board. Already unflattering reports of his tax and alimony problems are being dribbled out to the press by his opponents. Nevertheless, the criticism of Moore says more about his critics than it does it about Moore. It shows that mainstream economists who have been clueless about the economy over the past 12 years are circling the wagons to protect what’s left of their tattered reputations.